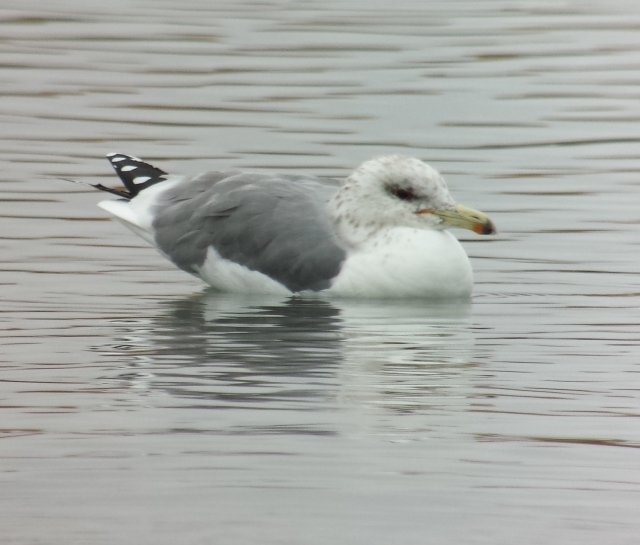 While waiting & hoping for the Mew Gull to return, this California Gull dropped in to Costco Pond at Union Gap. This is not rare in our county like the Mew Gull, but it's unusual to find one away from the Columbia River or Rimrock Lake, and I've not seen one here at the Costco pond before. It joins a group of 14 or so Lesser Scaup, 100 Mallards, and 15 American Wigeon plying the waters. I think the low cloud ceiling is steering some big water birds this way.